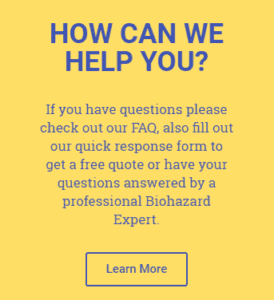 In many of our bio-hazard cleanup services, we find ourselves dealing with the aftermath of someone’s Post-Traumatic Stress Disorder. It may be due to suicide, or perhaps the individual is trying to cope by holding onto objects (hoarding disorder). Regardless of the outcome, knowing that PTSD may be at the root of someone’s issues makes it even more important for us to be caring and compassionate. PTSD affects a growing number of people, predominantly women and veterans. (The rate among women is almost twice that as for men.) 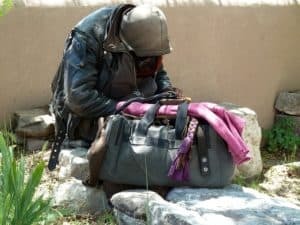 And it appears there may be a connection between PTSD and homelessness. We already know that veterans disproportionately suffer from both PTSD as well as homelessness, so the possible correlation makes both these issues even more complicated. And what is even more confusing is that the link may go both ways, i.e., PTSD may result in someone becoming homeless, or being homeless may cause PTSD. It can end up to be a difficult-to-break cycle. Those living with severe PTSD often have difficulty holding a job, and drug or alcohol addiction is common, which further complicates things. Prolonged unemployment and substance addiction are common among the homeless, and these conditions can only aggravate PTSD. Taking a good, hard look at the possible connection between PTSD and homelessness shows that providing affordable housing isn’t the simple answer. But we always believe that offering our services in with care and compassion is appropriate. We have no answers to ending homelessness for anyone, especially vets. But as a company who regularly provides cleanup services for areas affected by the homeless, or by squatters or hoarders, we wanted to get the conversation started. What Hazards Do Squatters Pose to Property Owners?